Switzerland has multiple referendum demands today in its various provinces as part of its ‘direct democracy’. If 100,000 voters show up and cast the ballot paper, any proposition has to be discussed and, regionally or federal, subsequently accepted. 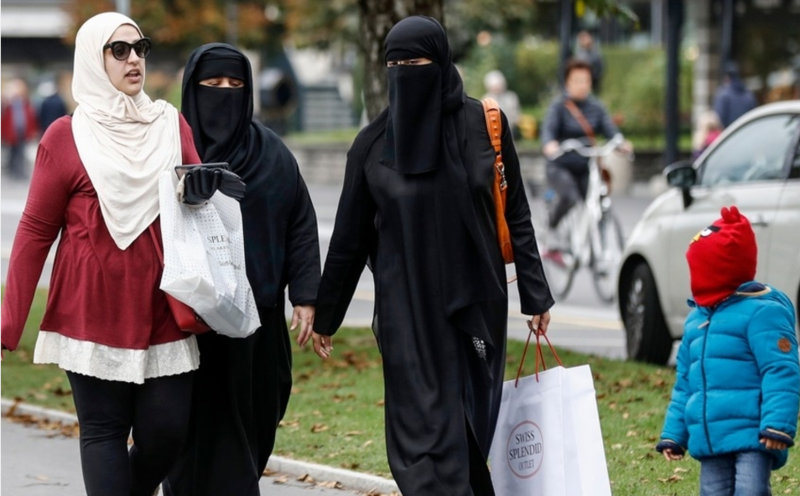 Today the demand for better regulation for organic farming and more subsidies for locally grown food is one of the proposals near Geneva, the demand to stop the public wearing of burqa’s or niqab in public near St. Gallen. The Swiss cities like Lausanne, Geneva and Bern see many rich Arab families visit to arrange their banking affairs; some even spend summers there. But the traditional Swiss have started to resent the introduction of burqas and niqab’s to every day life. Related coverage: <a href="https://thegoldwater.com/news/34316-Switzerland-Muslim-Couple-Citizenship-Cancelled-After-Refusal-To-Shake-Lausanne-Mayor-s-Hand#34321"> Switzerland – Muslim Couple Citizenship Cancelled After Refusal To Shake Lausanne Mayor’s Hand</a>. Almost 70 percent of voters in the North-Eastern Swiss canton of St. Gallen accepted today that a burqa and niqab ban would be introduced. It marks already the second Swiss region in a short while to do so. Last year, the southern canton of Ticino saw a law introduced that was aimed at burqas and other Muslim veils. The legal text stipulates that "any person who renders themselves unrecognisable by covering their face in a public space, and thus endangers public security or social and religious peace will be fined"
The populist Swiss People’s party will now renew their demand to introduce a countrywide burqa ban after the parliament last year discussed the idea but saw a nationwide law blocked because of opposition from the left-wing socialist and green parties who labelled it as ‘racist’. Given the overwhelming majority of Swiss voters in both regions who agree that such a ban is needed, that argument is of course no longer valid. Countrywide it is no secret that a ban would please a majority of the voting populace as well. Many developed European economies (Austria, France, Belgium, Denmark) have introduced burqa bans in the past two years as opposition against the traditional Muslim garments keeps growing. Denmark was one of the last countries to do so, and it even endorsed heavy fines to anyone wearing the garments. Repeat offenders even risk jail terms. The burqa isn't the problem, Islam is the problem. Ban Islam, expel Muslims and hang those who've aided them. The Burqa is the enemies' uniform. If the Swiss were really fighting back against the invaders, the enemy would abandoned the Burqa on their own, just for survival. tab is an idiot who actually believes in a 'god', and even believes that Jesus actually existed.